Born in Burnage Manchester in 1972 to an Irish family, William John Paul Gallagher, who is commonly known to the world as Liam, is Oasis’s original band member who was with the band from the beginning until present. In 1991, he was invited by his school friend Paul McGuigan, to join his band “The Rain” as a vocalist. Liam accepted the offer but he insisted that the band’s name be changed to “Oasis” after a venue in Swindon, which was on an Inspiral Carpets tour poster in his and Noel’s bedroom. Although his erratic behavior and abrasive attitude have always been the subject of commentary in the press, his distinctive singing style, however, has made him a favourite for Oasis fans. An English songwriter, guitarist and occasional vocalist, Noel Thomas David Gallagher, born on May 29, 1967 in Longsight Manchester, England. He is the second son of Irish parents Peggy and Tommy Gallagher and is also the older brother of Liam Gallagher. In 1991, after his tour in Germany as a roadie for the Inspiral Carpets, he was persuaded by his younger brother, Liam, to join Oasis and he agreed on the condition that he must take creative control of the group and become its sole songwriter. Although his public conflicts with his younger brother occurred frequently but the two brothers work well in creating the best rock music for their albums. Colin Murray Archer, better known as Gem, is an English musician well known for his work with Heavy Stereo and Oasis. He was born on December 7, 1966 in Durham and proceeds his life in a vegetarian – based style. He began his musical career in Whirlpool and Heavy Stereo in the mid – 80s. 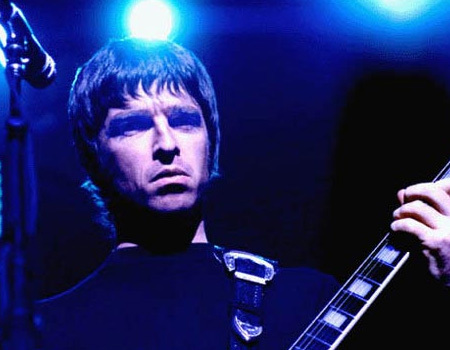 In 1999, after Paul Arthurs left Oasis, Archer was contacted by Liam Gallagher, who considered him as the most suitable replacement for Paul Arthurs. Archer was absolutely overjoyed with the chance and joined Oasis as rhythm guitar player in November 1999. Born on 11 August 1970 in Cardiff, Wales, Andrew Piran Bell is the second Oasis bass guitarist. He was a former member of the early 1990s band, Ride, and later Hurricane No.1. In 1999, after the departure of the Oasis founding member, Guigsy, Oasis was looking for replacements for the vacancy. Liam Gallagher was impressed with Bell’s performance and convinced him that Bell would make a suitable replacement for Guigsy. Bell jumped at the opportunity to join Oasis but was obliged to learn playing bass and remain in the band until present. Born on September 13, 1965 at Queen Charlotte’s Maternity Hospital in London, Zak Starkey is the first child of The Beatles drummer Ringo Starr and his first wife, Maureen Cox but his parents divorced on July 17, 1975, when he was only 9 years old. Zak has worked with Johnny Marr, Icicle Works, the Waterboys, ASAP, the Lightning Seeds and currently act as an unofficial drummer in the British rock bands, Oasis and The Who. The second Oasis drummer, Alan White, was born on 26 May 1972, in Eltham, South London. After the band’s original drummer Tony McCarroll was kicked out of the band in May 1995, he joined the band and performed as the band’s drummer between 1995 and 2004. Paul Weller, one of Gallagher’s friends, recommended him to Noel Gallagher for the vacancy. In 2004, he decided to leave the ban for personal problems and was replaced by Zak Starkey, drummer of the Who and son of Beatles’ drummer Ringo Starr. Better known by his nickname Guigsy, Paul McGuigan was one of the four founding members of Oasis. In 1980, he started a band with his friends, Paul “Bonehead” Arthurs, Tony McCarroll and Chris Hutton and called themselves “The Rain”. Later, Guigsy invited his friend Liam Gallagher, who suggested changing the band’s name to Oasis, and Liam’s brother, Noel, to join the band. Guigsy performed as a bass player for Oasis from 1991 to 1999 and left Oasis for a short time in 1995 due to nervous exhaustion. And after his return in the late 1995 he decided to leave again in 1999, this time was for good, the reason was he wished to spend more time with his family. Born on 23 June 1965 in Burnage, Manchester, England, Paul “Bonehead” Arthurs is also considered one of the founding members of Oasis. Paul Arthurs also known as Bonehead, a reference to the short back and sides haircut which his father made him wear when he was young. Arthurs joined Oasis from the beginning and remained in the band as a rhythm guitarist. Until 1999, he decided to leave the band to spend more time with his family. Arthurs was replaced by Gem Archer. One of the founding members of Oasis, Anthony “Tony” McCarroll was born in Levenshulme, Manchester, England in 1972. McCarroll joined the band from the very beginning and performed as the band’s drummer from 1991 to May 1995. He stayed in band until 1995 when he was asked to leave after rumors of a punch-up with Liam. After leaving the band, he traveled around the world for some years.